Thai software developers are no longer embarking on trial-and-error attempts to address overseas markets and are now able to go abroad under the umbrella of the Thai Software Export Promotion Association (TSEP), which has the joint-support of the Software Industry Promotion Agency (SIPA) and the Commerce Ministry s Department of Export Promotion. With an advertisement in Vietnamese in a local magazine, the group has been successful at drawing potential customers from various industries, including the financial sector, insurance, construction, healthcare, hospitality companies and some system integrators. The revenue generated by the Vietnamese market is expected to be worth 100 million baht this year. “We would like to build the Thai software brand name in Vietnam because software is something requiring continuity, especially after-sales services,” said Tsep president Chalermpon Punnotok, who is also the CEO of Computer Telephony Asia (CT Asia). CT Asia, a Thai computer telephony provider selling call centre software, now enjoys the largest market share for call centre software. Its product, InfoCentrix, has been recognised, not only in Thailand, but also in international markets and the company has customers in Asia, Europe and US. CT Asia recently signed an MoU with Vietnamese brokerage firm ThangLong to implement InfoCentrix Multimedia contact centre solutions. Chalermpon noted that ThangLong was also a customer of Freewill Solutions, a subsidiary of True Corp which has business in Vietnam and the two Thai companies were working together there. 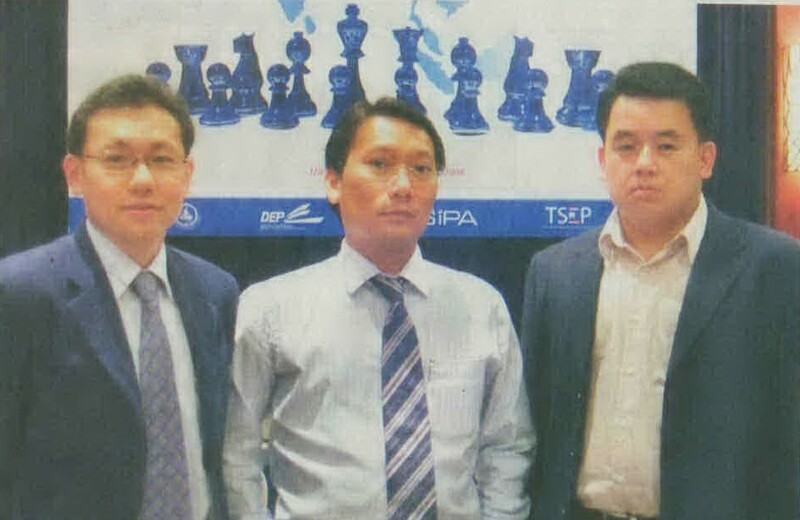 Contrary to outsourcing, which Chalermpon called “intellectual labour,” TSEP s approach is to offer intellectual property (IP) with a software licence. That was the right model that Thai companies should apply because with this approach they would be able to become a global company, he said. “We sell intellectual property with additional investment in R&D that could be further developed to be world-class and be exported to other countries,” Chalermpon said, adding that IP companies should have a focus and must offer inspiration for new generations of engineers. Wealth Management System Ltd (WMSL), a leading Thai consulting and software company, has been awarded a contract by the State Securities Commission of Vietnam to offer the transfer of skills through training. The company has signed an MoU with the Securities Research and Training Centre of the State Securities Commission of Vietnam to provide specialised training programs to local securities and fund management company staff and other interested parties. WMSL is the leading local software development company specialising in asset management and treasury and risk management solutions here. WMSL CEO Somkiat Chinthammit, said his company had tried to enter the Vietnamese market for a year and a half, but it was not easy. “It takes a long time and thus we have changed our approach,” the CEO said, noting that joining with TSEP would enable companies to take a short cut when it came to addressing overseas markets. Software was intangible goods and hence mutual trust was required, Somkiat said. He noted that the banking sector in Vietnam was now booming, but was behind Thailand by a decade. What they lacked were business processes and thus software companies providing enterprise solutions together with business processes could do well, he said. Apart from Vietnam, WMSL has expanded its market to Laos, Indonesia, and China. Freewill Solutions, the first Thai software company to enter Vietnam, with a presence there for over three years, has the leading market share for securities and brokerage software there. Its customers now comprise over 20 per cent of brokerage companies there. Having hired some 30 staff, Freewill Solutions has customers in Hanoi and Ho Chi Minh, where its office is located. Vichai Suknaibaiboon, the company s vice president of marketing and sales, said enterprise software required support, and that had required them to set up an office here. It faces heavy competition in the Vietnamese market, with many vendors from the UK, the US, Korea, Singapore and Taiwan. “Local partners are needed to do business abroad,” he said. Vichai noted that as the enterprise software required continuous support, revenues were from maintenance and support. Most importantly, he said, enterprise software did not face the problem of copyright infringement. According to Boonchuay Sanguanvorapong, president and chief operations officer of Magic Software (Thailand), Vietnam was a large market with a huge opportunity as there were more than 50 financial institutions there. Indochina is one of the major markets for Magic Software and a few years ago the company also entered Burma and Laos, providing solutions for financial and securities institutes. “We see a lot of opportunity in Vietnam, but have to focus on specific segment with a definite strategy,” he said. Arunsawad is an insurance software company providing a real time claim automation solution service with its application called Anywhere To Go. Seeing the potential in Vietnam, where there were a lot of vehicles, Arunsawad s managing director Kittinan Anuphan said one customer, LNG, had branches worldwide, including in Vietnam and that was also an opportunity. The Anywhere To Go application runs on PDAs to make the claim process faster and Kittinan explained that the application employed GPS devices in combination with a mapping solution. GPSes would be given to mobile users, who were surveyors, and as soon as an accident had been reported, a call agent could locate the nearest surveyor. “Today we complete the entire claim process, from getting a call to closing the case within 15 minutes,” Kittinan said, noting that he hoped that the “Anywhere To Go” application would fit to the environment of Vietnam. Longkong Studio, which develops software to manage bidding, accounting and cost control systems for the construction industry, has received a very warm welcome in Vietnam. Managing director Pongsawat Krishnamra said the infrastructure and construction business was now booming there. “We provide total solutions related to the construction industry and all of our modules can be integrated,” he said, noting that there were no such complete solutions available in Vietnam. This was the first time Longkong had addressed the Vietnamese market and Pongsawat noted that it needed an on-going process because enterprise software required localisation, both in terms of language and regulations. All of the 14 Thai companies have niche areas of expertise, including simplified solutions for facility management and enterprise asset management solutions. KP Soft develops software for hire purchase businesses and has a dealer management system; IT Works provides security technology such as fingerprint scanning and RFID solutions; ITEUS Corp offers consulting and outsourcing for the healthcare technology; Brain Stream is an information system provider; Comanche International has a hotel management solution; Mango Interactive has a network digital signage display and a content management system; while Net-Com Professional is a web application developer. Sipa president Dr Rungruang Limchoopatipac said the agency supported the private sector to expand the export market by co-ordinating with the government sectors in potential markets. The appearance of the ICT Minister Dr Mun Pattanotai at the recent MoU signing between Thai and Vietnamese companies was an example, he said. Vietnam is the first country that Thai software houses have approached together with the support of TSEP. The next destinations will be Japan, Dubai, China and the Philippines.